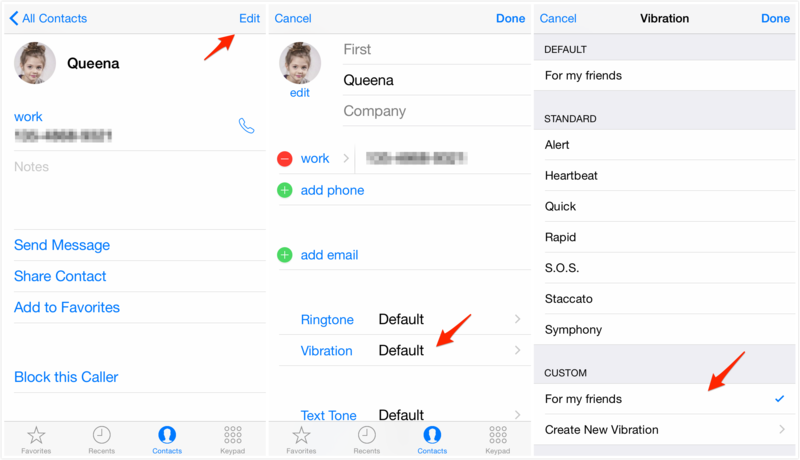 If you are looking for the method about how to create and set custom vibration pattern on your iPhone, this tip will tell you the exact solution. Download AnyTrans to manage your iPhone data after reading this guide on how to create and set custom vibration pattern on iPhone. Most of us like to set different ringtones for different people on iPhone. In this way, we will know who’s calling without looking at the screen. But when your iPhone is in silent mode, ringtones just cannot help you out. You need to look at your iPhone to check who is calling. But there are some situations that you cannot pull out you iPhone from your pocket, such as in a crowded bus or in a meeting. 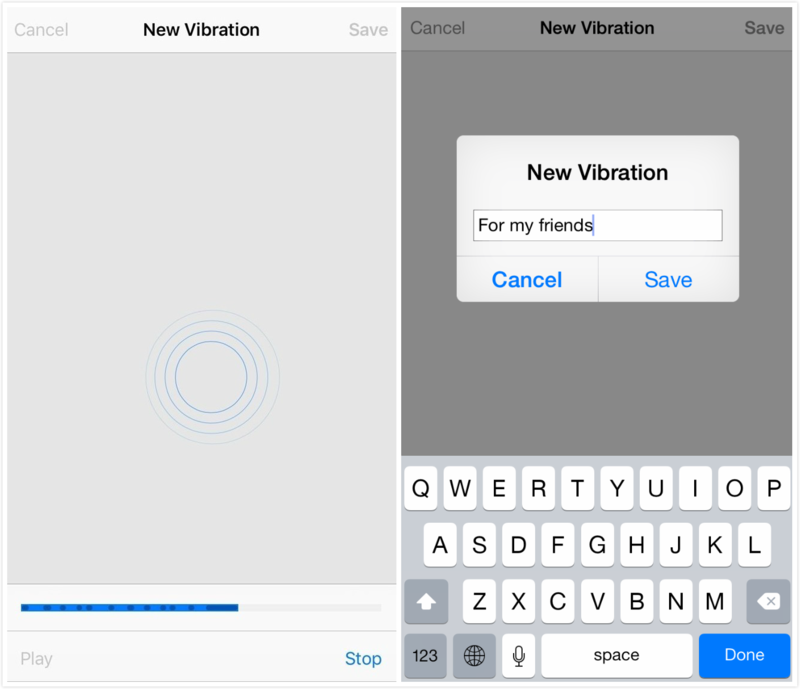 Luckily, iPhone has made it possible for you to set a custom vibration pattern and assign it to a contact. This feature is also available in the newest iOS 9. Now keep reading the rest part of this post to see how to use this feature. Step 1. Go to Settings > Sounds > Ringtones > Vibration. Step 2. Tap on Create New Vibration > Keep tapping the screen to create your vibration pattern > Tap Save after the blue bar is full > Name your new pattern. Step 3. Open Contacts app > Choose a contact > Tap on Edit > Tap on Vibration > Select the new created pattern > Tap Done button. To better manage your iPhone data, we strongly recommend you to get AnyTrans installed on your computer. It would be your best choice by allowing you to transfer, backup and remove data on your iPhone easily. You can check 10 Hidden Features of iOS 9 to learn more features of the newest operating system. Do not forget to share this post with your friends if you like it.